2. 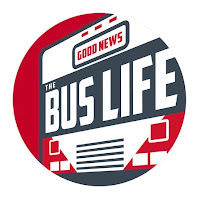 (If you already haven't) Subscribe to our YouTube channel "The Bus Life"
3. (If you already haven't) Be sure to click the "Notifications" bell next to the subscribe button. 4. Comment below and let us know that you want to be entered.